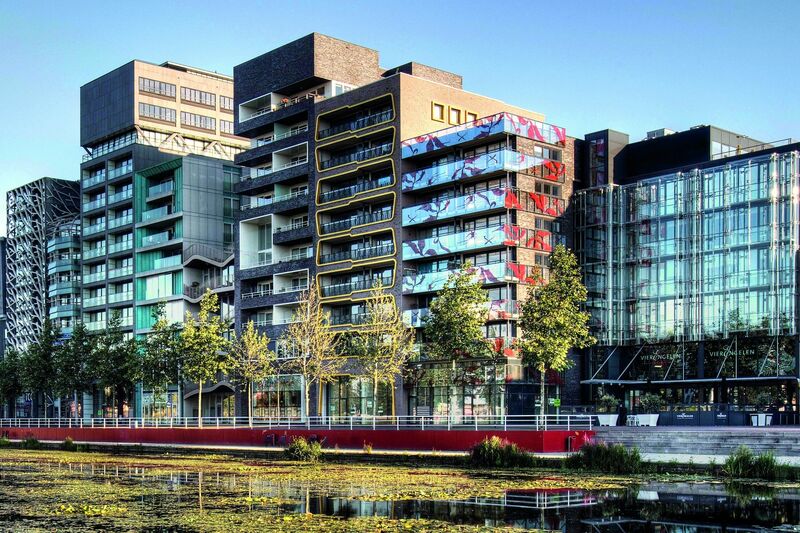 Surrounded by Lelystad’s vibrant coastal area is an architectural masterpiece: the apartment block of Batavia Quarter. The first Batavia Harbour block was designed by Krier & Kohl and completed in 2009. 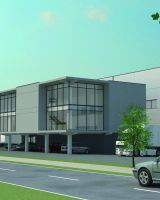 Van Wijnen will develop Batavia Harbour block 2 in the coming year. The other three blocks are available for a combination of residential blocks and leisure facilities on the ground floor; the perfect combination for an inspiring atmosphere. 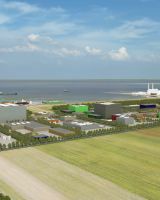 Lelystad's coastal area is in full development. Batavia Stad Amsterdam Fashion Outlet currently has about 150 shops, plus several cafés and restaurants. Each year this complex has over 2.3 million visitors. Next door, Batavialand tells the Dutch people's story; their battle with the water, their distant travels and discoveries, the reclamation works and dikes, their technical ingenuity. Every year 180.000 people visit this shipyard and museum. Part of the Batavia area is one of Lelystad's many harbours, the Batavia Haven. It is a great harbour with lots of space for recreational yachting as well as rivercruises and traditional sailing ships. Thanks to its location the harbour is very easy to reach both via land and water. Batavia Haven is surrounded by an apartment block, with room for three more blocks. All of them a combination of residential blocks and leisure facilities on the ground floor; the perfect combination for an inspiring atmosphere. The plan for Batavia Harbour block 2 was designed by Groosman and consists of 30 private sector owner-occupied apartments, 45 regular private sector rental apartments, 18 ground floor homes, a commercial plinth suitable for, for example, a Bed & Breakfast with 16 rooms and catering facilities like a restaurant and/or Grand Café. In addition, it will also consist of 70 private sector rental apartments based on a service-oriented living concept, which are adaptable to older people's changing needs. Supporting facilities in the areas of relaxation, convenience, wellbeing and care form an important part of this. In short, a living environment for a variety of different target groups. The homes and apartments are aimed at the private sector buying and rental market. Lelystad is connected by road, water and rail to the heart of Amsterdam. Entrepeneurs feel at home with the ‘pioneering’ business-spirit here. This part of Amsterdam offers a brand new international airport, state of the art and innovative business parks and attractive and affordable homes. All in a green and blue environment. Do you know that this region actually has a real wild life nature park? Warande is a new neighborhood situated in the south of Lelystad and close to the Oostvaardersplassen, Hollandse Hout nature reserves and nearby the highway exit. This neighborhood connects the city to nature quite literally, through its location, and is to be a green area with about 10% open water and 25% forest and parkland. 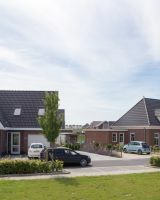 With the development of Warande, Lelystad will benefit from 8,500 new homes over the coming years, representing some 2,000 lots. Warande offers a range of beautifully located and affordable housing, for sale and rent, and including terraced, semi-detached and detached houses and apartments. It gives you the freedom of the outdoors, with all amenities within easy reach. The district now has its own DEEN-supermarket, primary school, childcare, healthcare and veterinary facilities. Between the highway A6 and Amsterdam Lelystad Airport is a special area: Lelystad Airport Businesspark. It is a dynamic place where the focus lies on innovation and sustainability and businesses are given the opportunity to thrive. The park is the starting point to the rest of Europe and the world. We literally and figuratively allow plenty of space for your company to grow and develop, and Flevoland is a young and progressive province with a down-to-earth approach to the future.